Elliptical Tanks can be selected for stationary or transportable (non DOT approved) applications both indoors and outdoors. The elliptical tank lowers the center of gravity to enhance stability and visibility. The tanks feature a standard 2-1/2” collection sump on the bottom for full drain out. 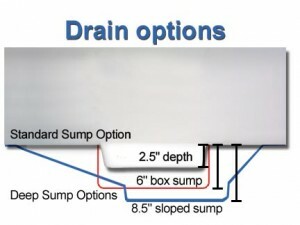 An 8-1/2” deep sump option is available on five sizes. Sump is located directly under the lid on standard tanks, but a center sump option is available on tanks from 500-1250 gallons. These tanks require the bottom to be fully supported with a cradle for use. 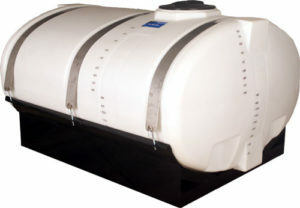 The tanks are manufactured from medium-density polyethylene with U.V. stabilizers and are designed for containment of liquids of up to 1.7 specific gravity. Tank walls are translucent for level viewing and equipped with gallon indicators.